I believe Intel Wireless Display (also known as Wi-Di) could be one of the best ‘value-add’ technologies Intel has implemented for years. Not because of any technical skill (it’s an extension of the Wi-Fi Direct ‘soft AP’ standard implemented in their Centrino network cards and Core processors) but because it adds capability to the PC platform that makes real sense and doesn’t require any extra interfaces or radios. Wireless display is going to be something that, once you’ve used it, you probably won’t wouldn’t want to lose. 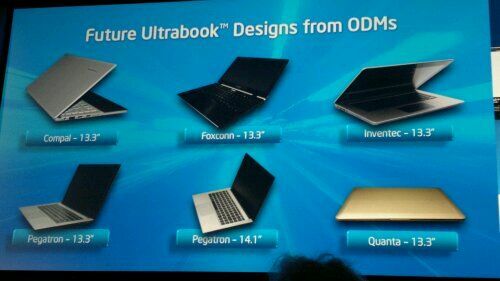 Expect to see this on most Ultrabooks next year. Intel have been working on this for a number of years now [good background story here] and although it’s available in Ultrabooks and other PCs based on Core architecture, it’s also coming to Cedar Trail and Medfield as an option. 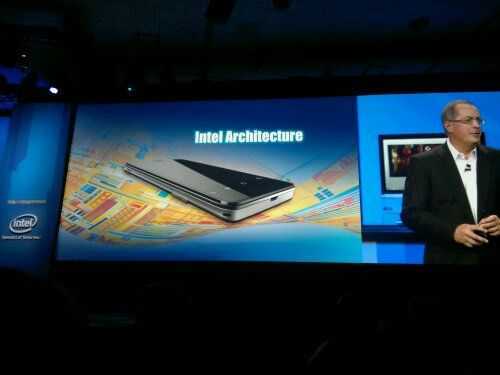 Mooley Eden was on stage at IDF this morning to deliver 1hr of Ultrabook presentation. Add the coverage that Ultrabooks got in the first keynote and you’re looking at about 40% of the total keynote stage time being dedicated to Ultrabooks. It’s clear where Intels marketing dollars will be going next year. Mooley set the scene by talking about PC market growth saying that China had overtaken the US market as #1. “Emerging markets are on fire” he adds. In a market full of tablet and smartphone competition, he needed to do that. We weren’t expecting Andy Rubin on stage at IDF but there he was with a new Honeycomb phone. Its a reference design only ar this point. Full details in the video below.